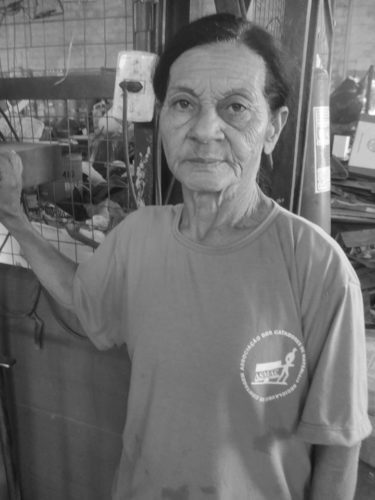 Born in 1953 in Pescador, Brazil, Marlene Lourenço Perreira (Marleninha) comes from a big family: she has 10 siblings, 7 women and 3 men. All of them are alive – a blessing since child mortality used to be considerably high in the inner parts of Brazil. Her mother is 86 years old and her father died in 2014. Marlene studied in her hometown but did not finish high school. Despite that, she worked as a substitute teacher for a while in schools in the rural area near her hometown covering tenured teachers when they were on holidays or attending external courses. This was in 1971 and she received the minimum wage but did not have any written agreement with the school.